Raised in Mt. Vernon, IL, Charles gave his life to Christ at the age of 13. Though he was raised in church, he strayed away from faith in God in his late teens and early twenties. Like the story of the Prodigal Son, he ultimately realized that true fulfillment comes only through Jesus Christ and surrendered his life back to God, accepting the calling on his life to preach. Charles Tate has been the Senior Pastor at BCOG since 1994. Raised in Mt. Vernon, IL, Charles gave his life to Christ at the age of 13. Though he was raised in church, he strayed away from faith in God in his late teens and early twenties. Like the story of the Prodigal Son, he ultimately realized that true fulfillment comes only through Jesus Christ and surrendered his life back to God, accepting the calling on his life to preach. He began attending the Church of God in Mt. Vernon at the invitation of a friend. It was at this church where he met the love of his life, Darla. The two were married in 1981 and immediately jumped into ministry together. Charles graduated from the Ministerial Internship Program of the Church of God in 1983 and he is an Ordained Bishop in the Church of God. Also, he recently completed levels 1 & 2 of chaplaincy training and received his Chaplain Certification. 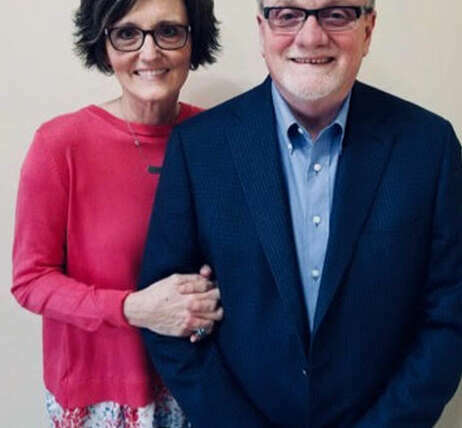 The couple pastored four other congregations before accepting the call to BCOG where in 2019, they celebrate 25 years as pastors, the longest tenure of a pastor in the church’s history by far. The Tate’s raised both of their children in Brookport and have been connected with the community and it’s leaders since coming to the city. Pastor Tate is known for his down to earth personality and his passion for preaching the truth of the Word of God. He enjoys reading books from authors such as Mark Batterson, Tim Keller, Max Lucado, and Thom Rainer. He loves the Chicago Cubs, fishing, and any meal that includes roast, potatoes, carrots and/or pumpkin pie. He also has two grand-daughters who he will gladly tell you all about.